Witnesses told gardaí that a number of men got out of the car and assaulted the man. GARDAÍ ARE INVESTIGATING a hit-and-run incident and an alleged assault in Dublin this morning. 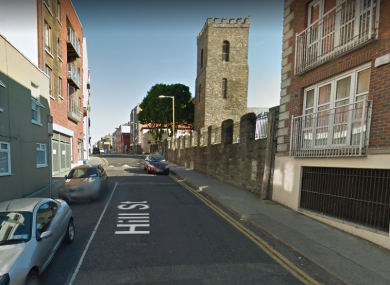 The incident occurred on Parnell Street at the junction of Hill Street at about 12.20am. A man in his 40s was discovered with serious injuries, and was removed by ambulance to The Mater Hospital. Gardaí believe that the man was struck by a green or blue coloured Audi saloon car which left the scene in the direction of Summerhill. Gardaí are appealing for witnesses or anyone with information in relation to this incident to contact them at Mountjoy Garda Station on 01 666 8600. Email “Man (40s) seriously injured after hit-and-run in Dublin city centre”. Feedback on “Man (40s) seriously injured after hit-and-run in Dublin city centre”.